Alpha Gamma was founded on September 9, 1922 at University of Alabama in Tuscaloosa, AL. We've been around 96 years and going strong! Our chapter is a part of Delta Zeta Region 15. We currently have a total of 330 members in our chapter and our average GPA is 3.23! For the academic year Fall 2016 through Spring 2017 our chapter has donated 8229 service hours and $13196.25! 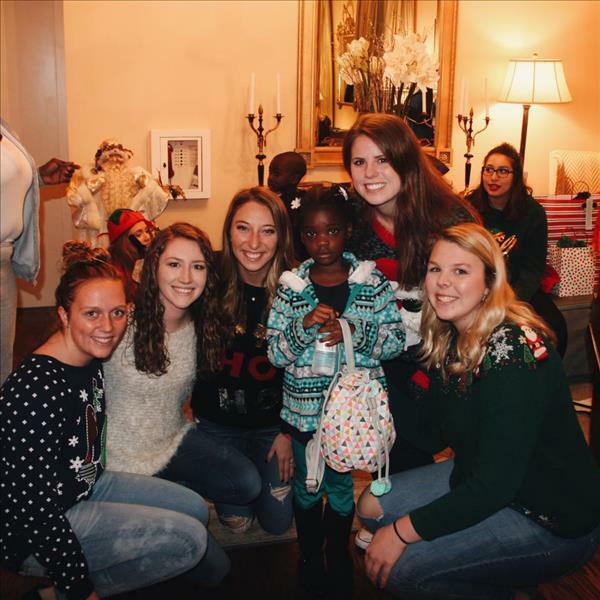 Earlier this month, members of the Alpha Gamma Chapter (University of Alabama) provided Christmas for over 30 families' children in the Tuscaloosa, Alabama community through a local organization, Tuscaloosa One Place. More than 120 collegiate members were able to help these children in need. Alpha Gamma hosted the annual event at the chapter house. The children opened their presents, enjoyed hot cocoa and cookies, and even visited with Santa! The chapter was overjoyed to be able to give graciously and provide a happy holiday for these families. On Sunday, September 25, 2016, the Alpha Gamma Chapter (University of Alabama) and surrounding alumnae chapters (Birmingham, Tuscaloosa, and other alumnae chapters in the Alabama area) hosted the annual New Member Tea. This event is a special tradition held every semester for Alpha Gamma's new members. 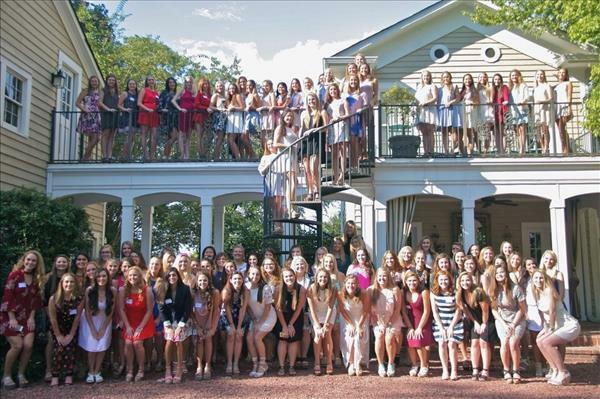 The alumnae host the tea at a beautiful venue and provide finger foods and desserts. 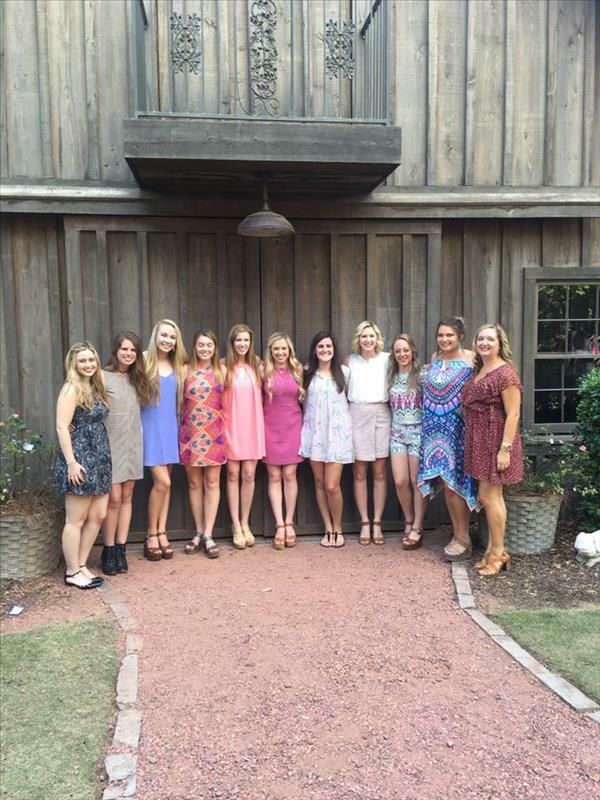 Alpha Gamma's Fall 2016 new member class, Executive Board, new member assistants, and alumnae were in attendance. More than 150 new members introduced themselves to the alumnae. The tea provides the opportunity for both alumae ad collegians to build relationships that will last a lifetime. "We are so incredibly lucky to have the alumnae that we do and we love doing this special event with them each year!" said member Laura Ritchie. 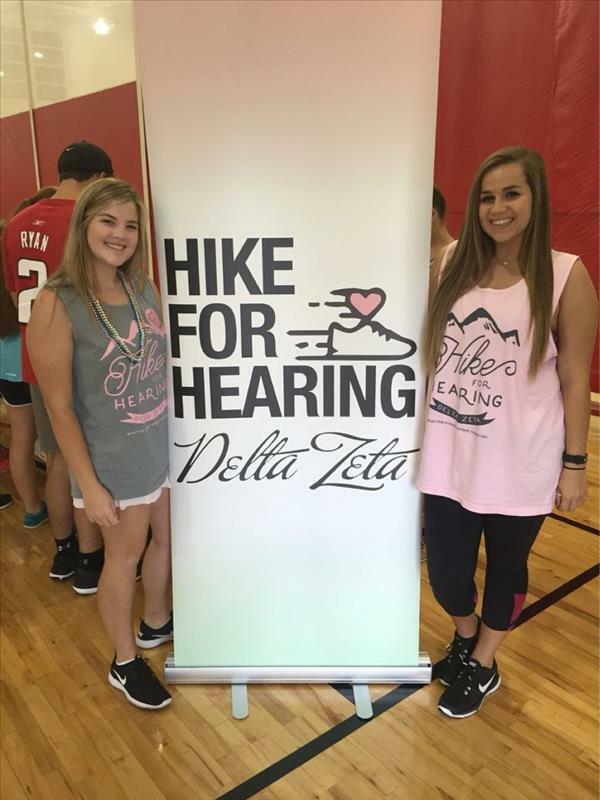 On September 11, 2016, the Alpha Gamma Chapter the University of Alabama hosted its first annual Hike for Hearing 5k event, as part of Delta Zeta's Heart for Hearing philanthropy to benefit Starkey Hearing and speech and hearing efforts. Shortly before the run, participants enjoyed a raffle, face painting, photo booth fun and other activities. 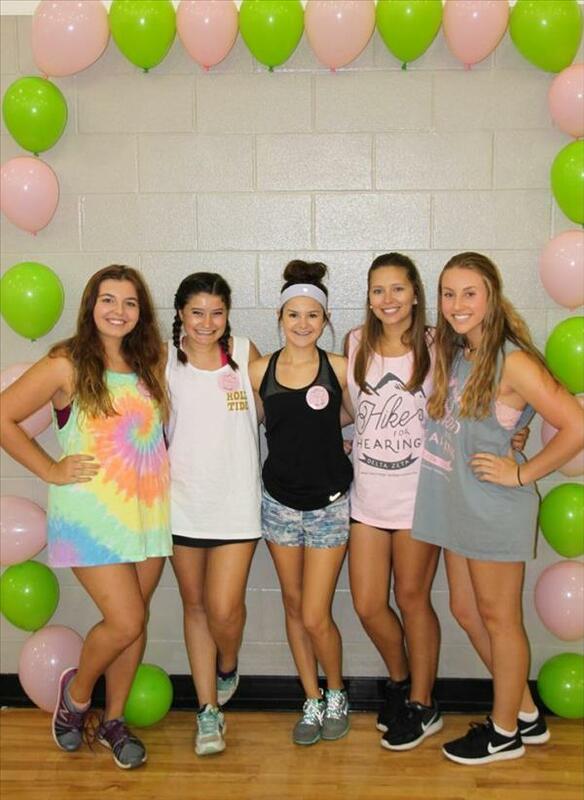 "Our chapter raised over $21,000 for the Starkey Hearing Foundation at this event and continued to raise over $2,000 during the week after Hike for Hearing," said member Laura Ritche. "We are so excited our first Hike for Hearing was a success and cannot wait to see the numbers increase next year!" Come to the Alpha Gamma reunion at the University of Alabama! Alpha Gamma Chapter members at the University of Alabama in 1923. All alumnae of the Alpha Gamma Chapter at the University of Alabama are invited to an alumnae reunion on May 20-21, 2016 in Tuscaloosa, Alabama. Don't miss this special event! Registration and details are at www.dzbamareunion.com. Stetson University College of Law professor Stephanie Vaughan, Alabama - Alpha Gamma, has been promoted to associate dean for student engagement. In her new position at the College of Law, Professor Vaughan will help guide students through their development into significant advocates, practitioners and individuals, blending their academic experience with co-curricular and extracurricular experiences to prepare the whole graduate. “The next innovation in legal education is linking together elements of a legal education experience that have long been thought to be unconnected and distinct,” said Dean and Professor of Law Christopher Pietruszkiewicz. Professor Vaughan has served for nearly two decades with the legal research and writing faculty at Stetson. She previously served as associate director for the Center for Excellence in Advocacy and as associate director, interim director and faculty liaison of international programs at Stetson Law. She will continue to teach courses in legal research and writing and advocacy. Vaughan has mentored numerous students on Stetson’s award-winning moot court teams, including the world championship team that won the 2005 Willem C. Vis International Commercial Arbitration Moot Court Competition. She co-coached the Willem C. Vis International Arbitration Moot Team that won an award in every category in Hong Kong in 2014. Professor Vaughan was appointed to the Global Skills Committee of the Legal Writing Institute and she co-chaired the Women in International Law Committee of the Florida Bar International Law section. Before joining the Stetson Law faculty, Vaughan practiced law for a half-decade. Vaughan graduated with a J.D. with honors from Stetson University in 1991, receiving the Outstanding Woman Law Graduate and Cecil and Augusta Bailey Scholarship awards. She received her bachelor’s degree from the University of Alabama and graduated from Seminole High School. She is a member of Delta Zeta. Mary Frances Drake Pate, Alabama - Alpha Gamma, RN, PhD, CNS, serves a two-year term as chair on the AACN Certification Corporation board of directors from July 1, 2014, through June 30, 2016. A board member from July 2009 through June 2013, she was secretary/treasurer in 2011-2012 and chair-elect in 2013-2014. She is an assistant professor at East Carolina University College of Nursing, Greenville, North Carolina. 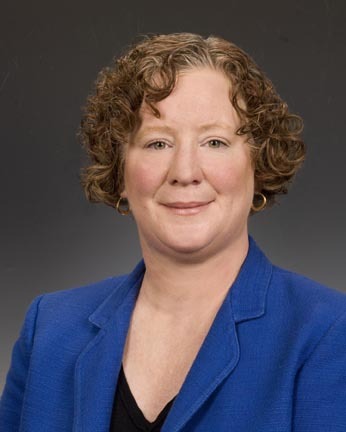 She was previously an associate professor at University of Portland School of Nursing in Oregon from 2012-2014 and an associate professor at University of Alabama at Birmingham (UAB) School of Nursing from 2009-2011. 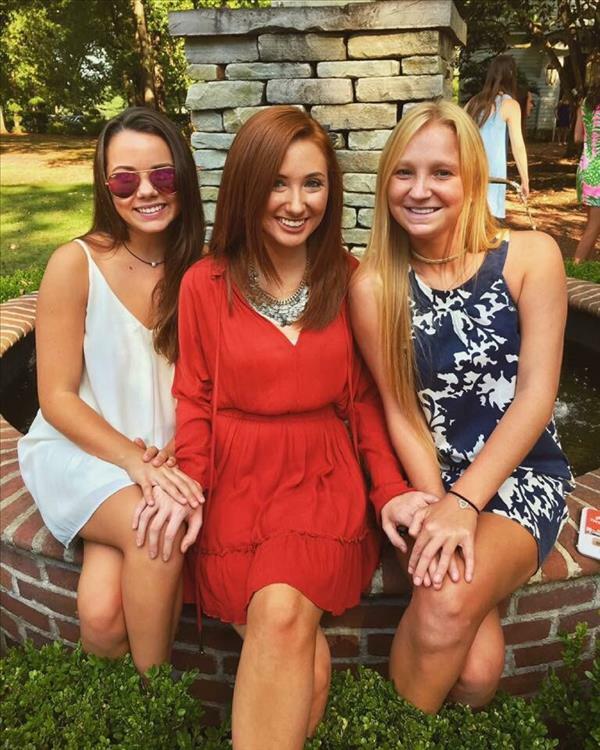 She said her Delta Zeta experience influenced your life and professional success in many ways. 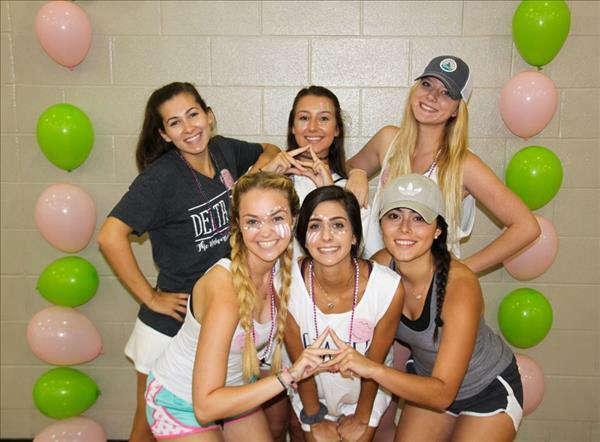 "Delta Zeta was foundational in assisting me to live and work in community with others. The Sorority taught me how to be an authentic leader and to collaborate with others to meet personal and professional goals. 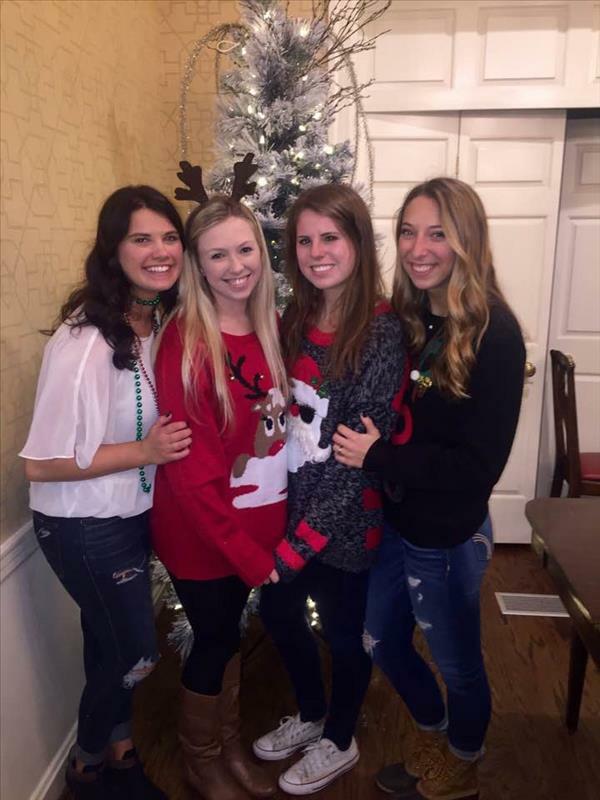 The lifelong friendships that were formed during my college years are priceless and meaningful to this day." Mary Frances is a member of numerous AACN volunteer committees, and her published work includes many nursing articles. 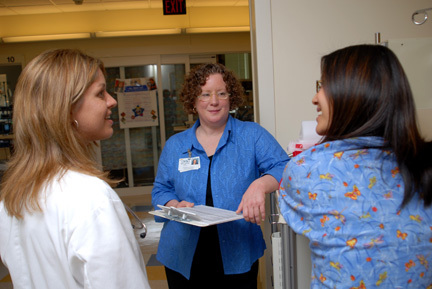 Most recently, she authored “Nursing Leadership: From the Bedside to the Boardroom” and co-authored “Providing Adult and Pediatric Care in the Same Unit: Multiple Considerations” in AACN Advanced Critical Care. She defined how she is truly changing lives in her work. "Nurses see patients and families during the best and worst times of their lives," she said. "It is an honor to be there during these times to provide supportive, competent care. Nurses truly have the opportunity to make a positive impact on the lives of everyone for which we care." Mary Frances also had great advice for those interested in pursuing a nursing career, which reflected her compassion as a woman living Delta Zeta values in her everyday life. "Nursing is a wonderful career with so many options," she said. 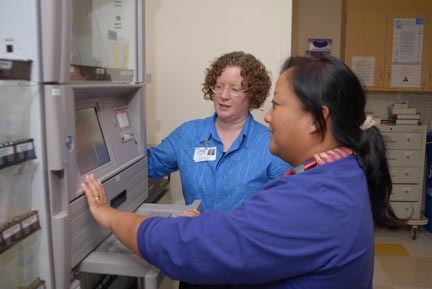 "I call it the 'all you can eat buffet,' because nurses can work at the bedside with patients and families, educate new nurses, lead teams of nurses, be entrepreneurial and innovate, and the list goes on. There is never a dull moment in nursing, and there is always an opportunity to reinvent oneself along the way. A lifelong love of learning and curiosity is key. But, by far the most important aspect is the desire to be competent, caring, and compassionate to those in our care."